I seem to have taken an unusually long break between Polka Dot Affair Part 1 and Polka Dot Affair Part 2, but at any rate, here is the second half. 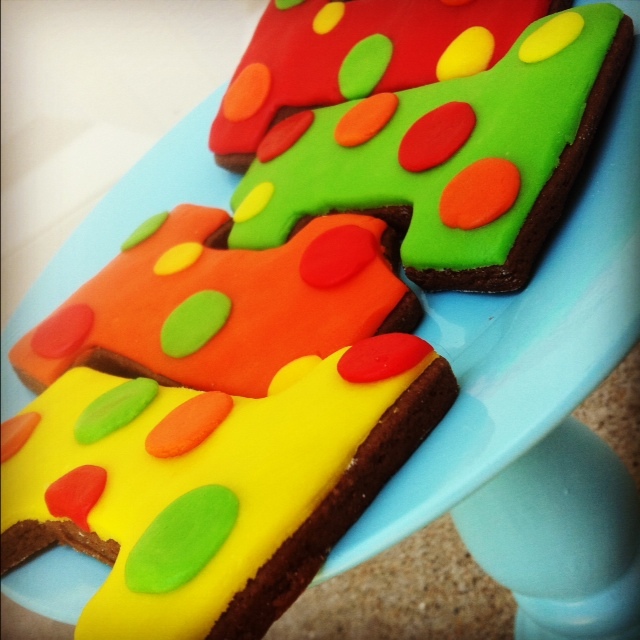 For the same event, I was able to make polka dot #1 cookies for a first birthday party as well as a matching polka dot birthday cake for the little guy. 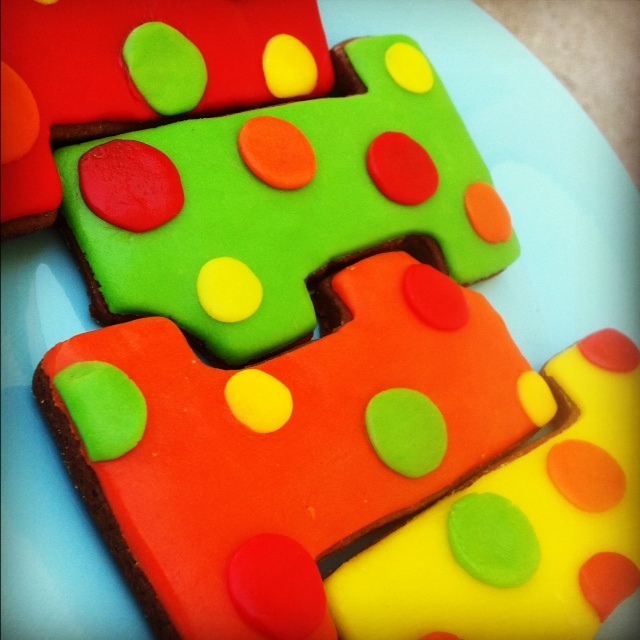 These cookies were a lot of fun because I used fondant icing instead of my traditional royal icing. 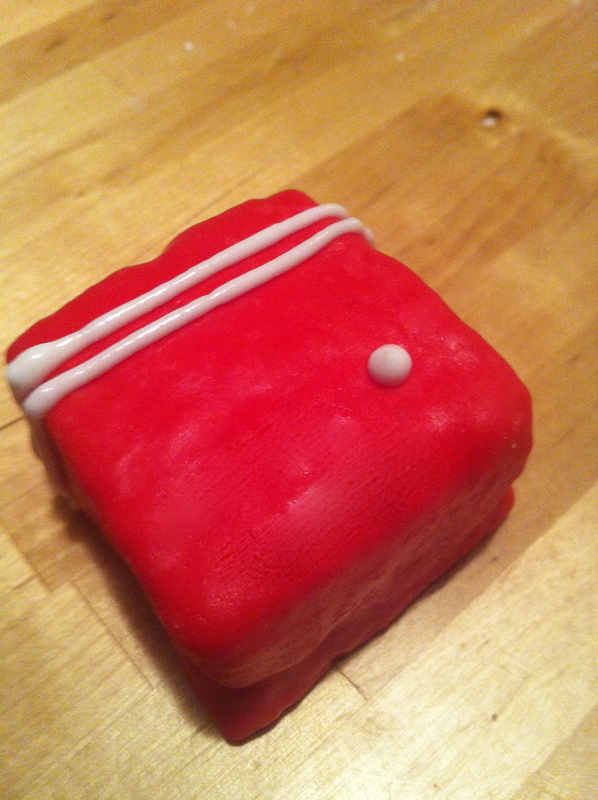 Fondant is a beast in itself, but once you get the hang of handling it, you can run with it. 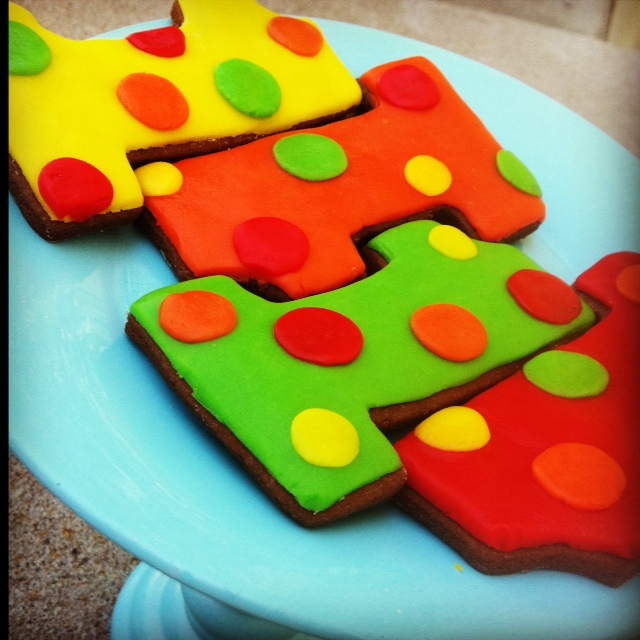 I rolled the fondant out flat, then lifted it and laid it over the cookie and then used the same #1 cookie cutter that I used to create the cookie to cut out the #1 shape on top of the cookie. Don’t worry about it being too large, the cookie expands a bit when it’s baking so there will be enough of an “edge” around the fondant. The cake was a lot of fun too. 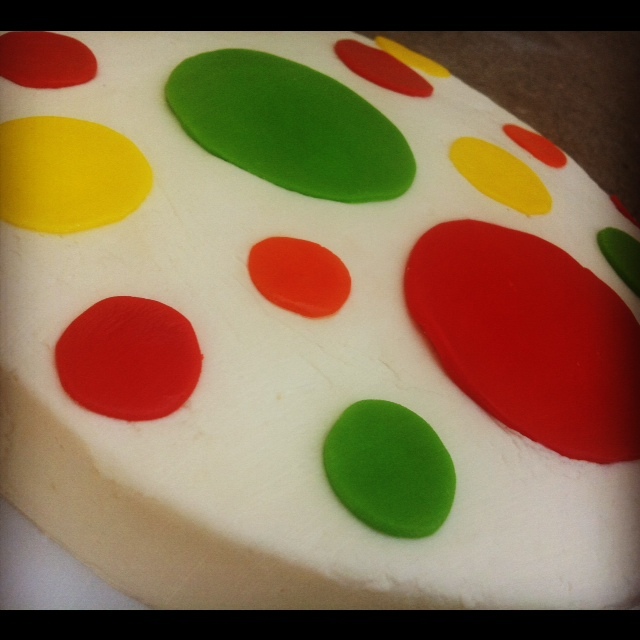 It was a bit different to work with because this particular cake is gluten-free (for the allergy of the little guy) but turned out pretty great. I think his mom ended up eating more of the cake than the birthday boy! Valentine’s day isn’t over around here! 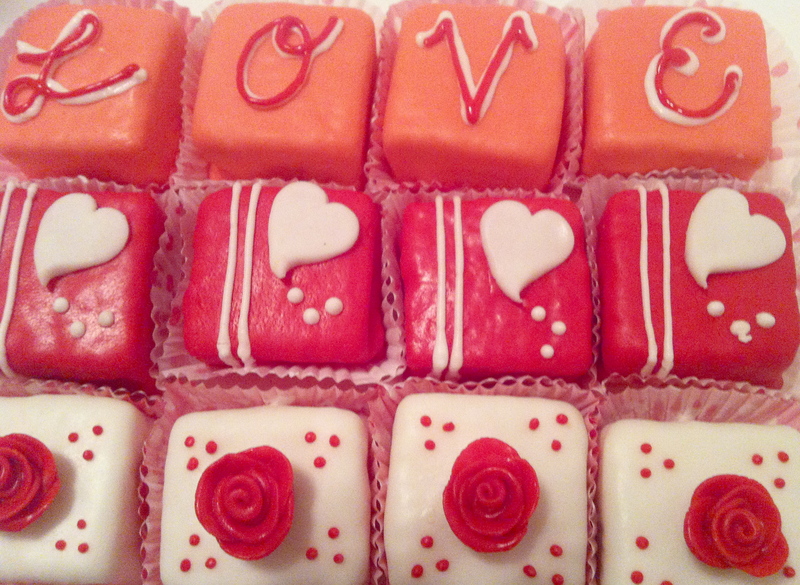 I recently had the opportunity to make an order of petit fours for a special Valentine’s surprise from a wife to her husband, who happens to be a fan of petit fours. Go figure right? Men can be surprising. I thought this would be a great opportunity to try my first tutorial! So… here it goes. 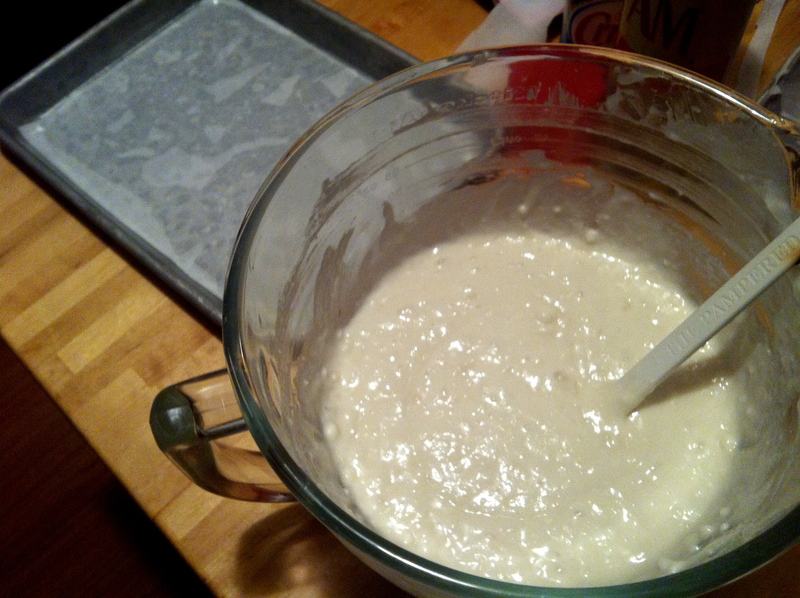 Next, pour your batter into your prepared cake pan. I always make sure to use parchment paper on the bottom to make the rest of the project (and my life!) easier. Now, this is where your batter matters. Know your recipe to know how “full” to make your pan. After the cake has baked and cooled, stick it (still in the pan) into the freezer for about… 15 minutes or so (very scientific I know). 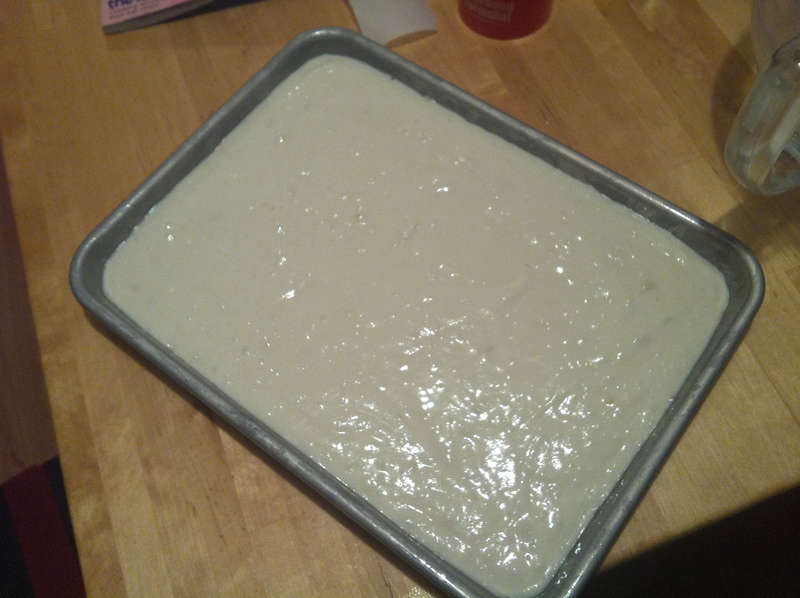 Once you take it out, it will be ready to “pop” out of the pan onto a cutting board or a cooling rack (my preference). 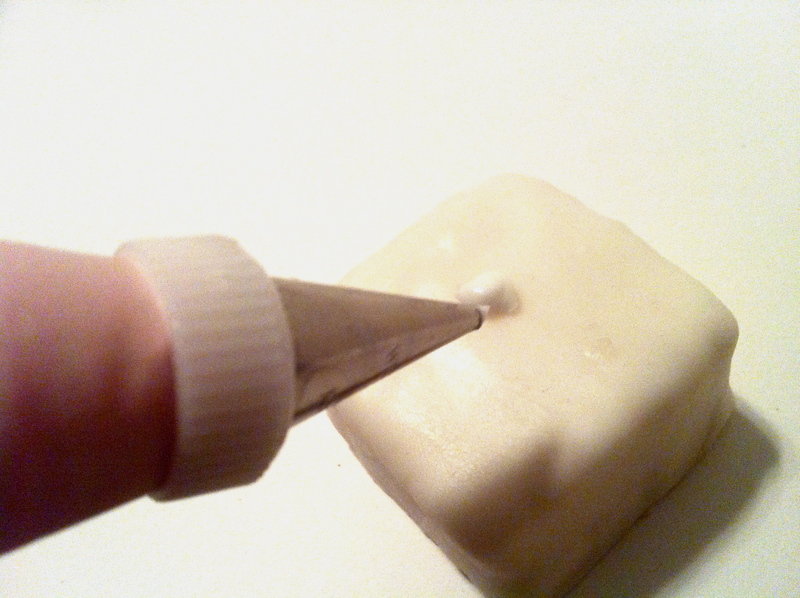 Use something you’ll be able to put back in the freezer after you’ve cut your cake pieces though. 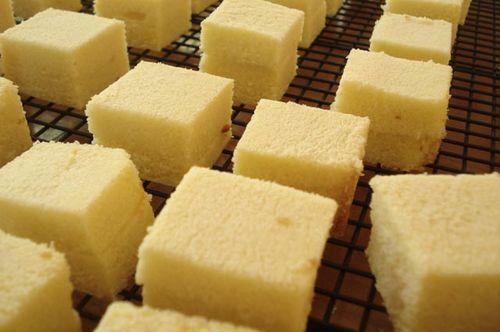 Then use a ruler to cut each piece of cake the same size. I generally use an 8×11 inch cake pan and then use the ruler every 2 inches. I just line the ruler up and slide the knife along the side. I end up with an inch of extra cake on one side, but it’s easier that way then trying to do all that math! 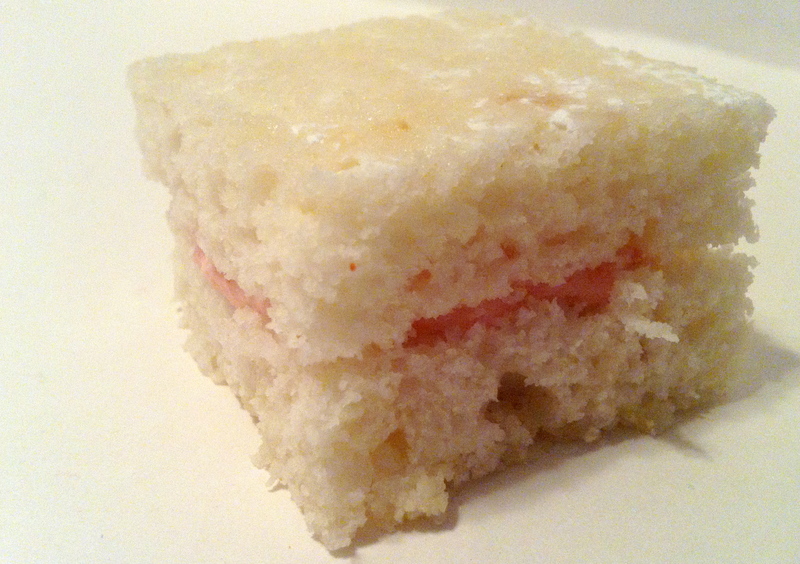 Next, I squeezed a dollop of homemade strawberry filling onto the bottom half of each petit four and stacked the top back on. Then place them back on the cooling rack and back into the freezer while you get prepared. Now comes the fun part! 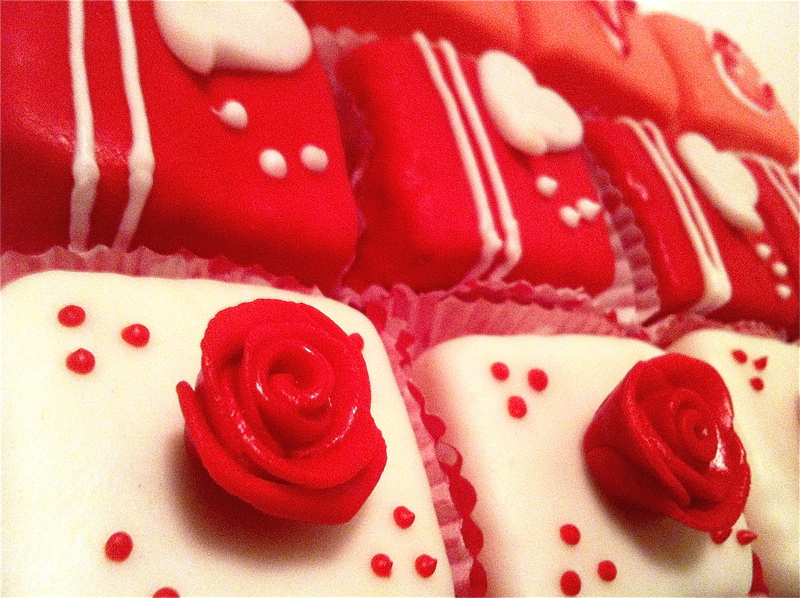 I chose to cover my petit fours in butter cream fondant because well.. because I did. You could easily elect to cover them in poured candy melts, pourable fondant, etc. 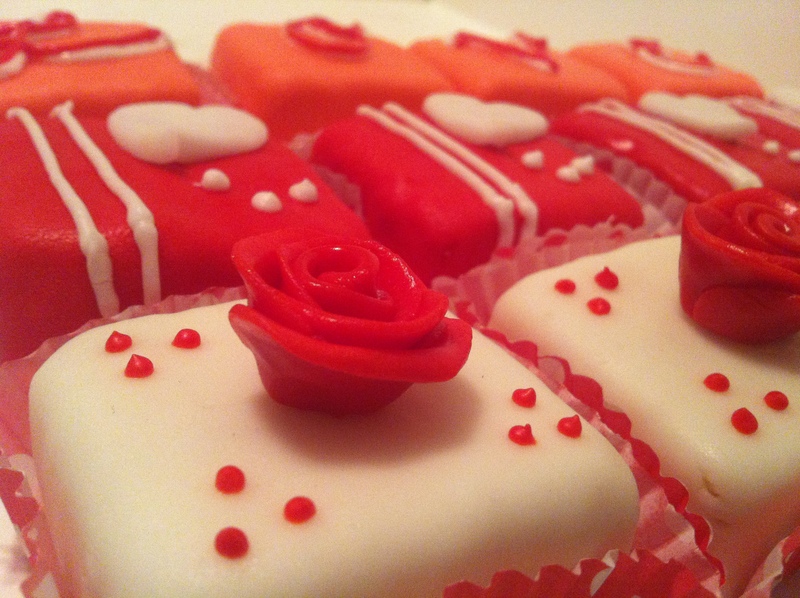 Rolled fondant just works for me. 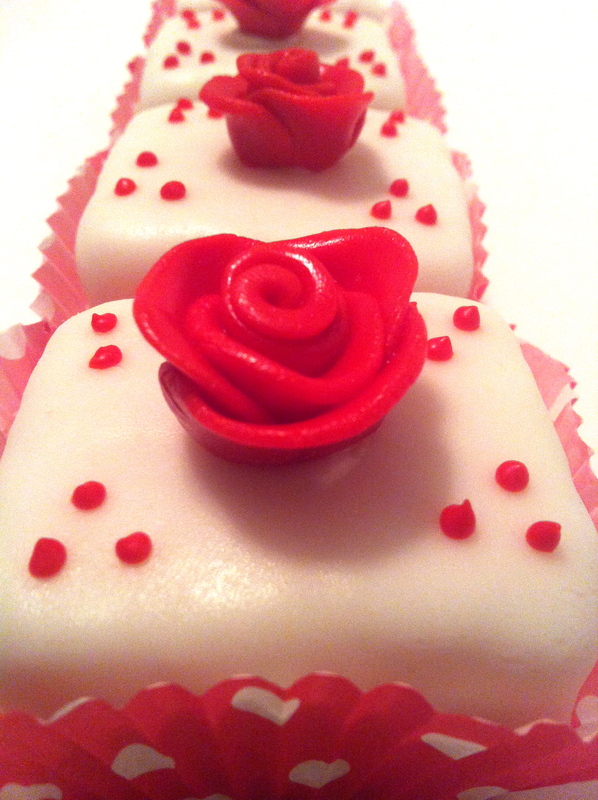 The recipe is butter cream like, so it tastes much better than traditional fondant or anything you’d buy at the store. If you are interested in the poured method, there is a great tutorial HERE. Next you’ll roll it out and cover one square at a time. 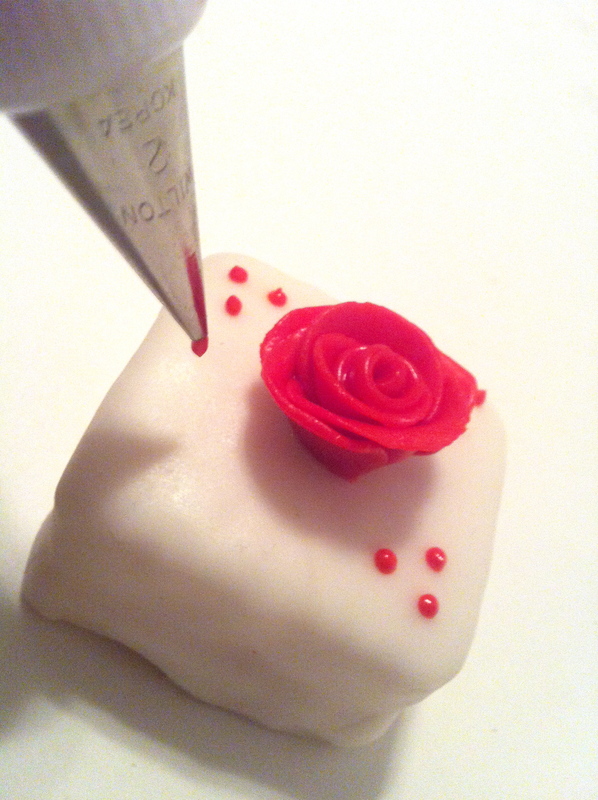 Fondant takes some practice and… finesse, so don’t get discouraged and keeping playing with it. You may want to make a bit extra if it’s your first time to account for a whoops or two. 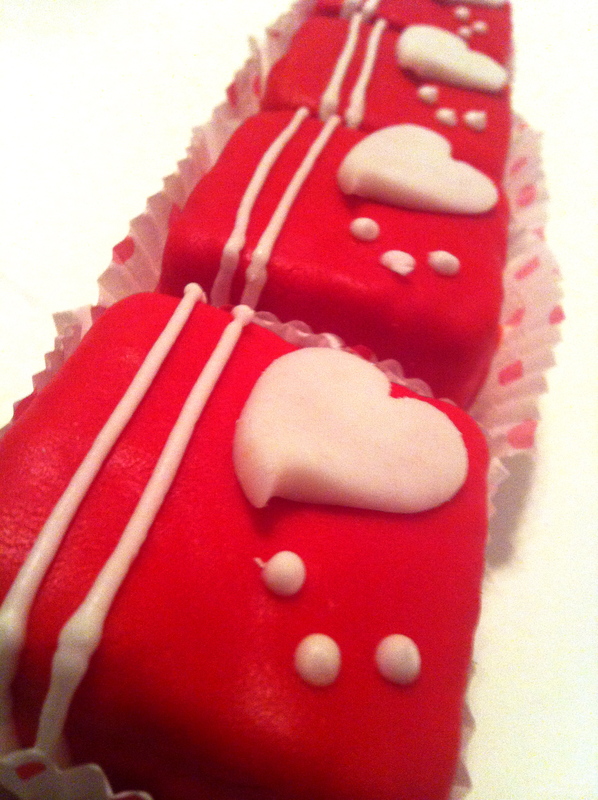 After you manage to get the petit four covered in fondant, decorate to your hearts desire! 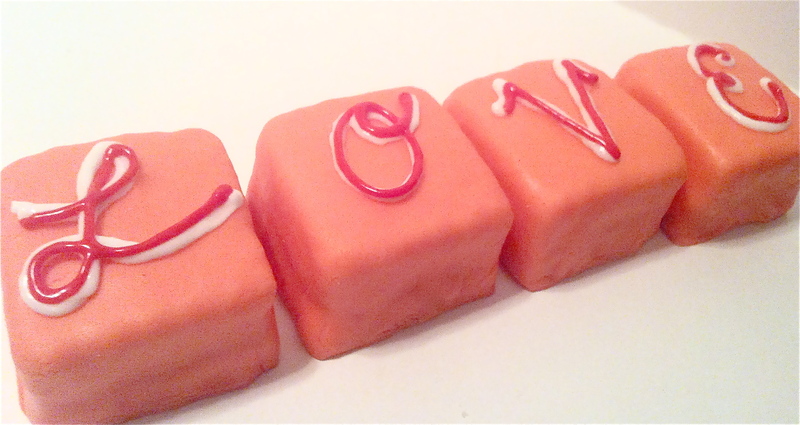 I did a combination of fondant roses, fondant hearts, and the word LOVE. All pictured below. 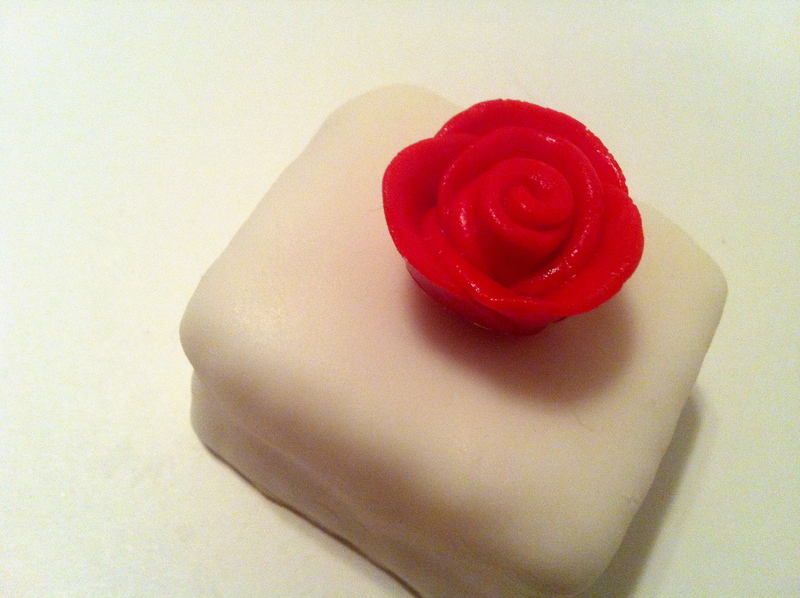 If you’re interested in learing how to make a fondant rose, there is a tutorial HERE. 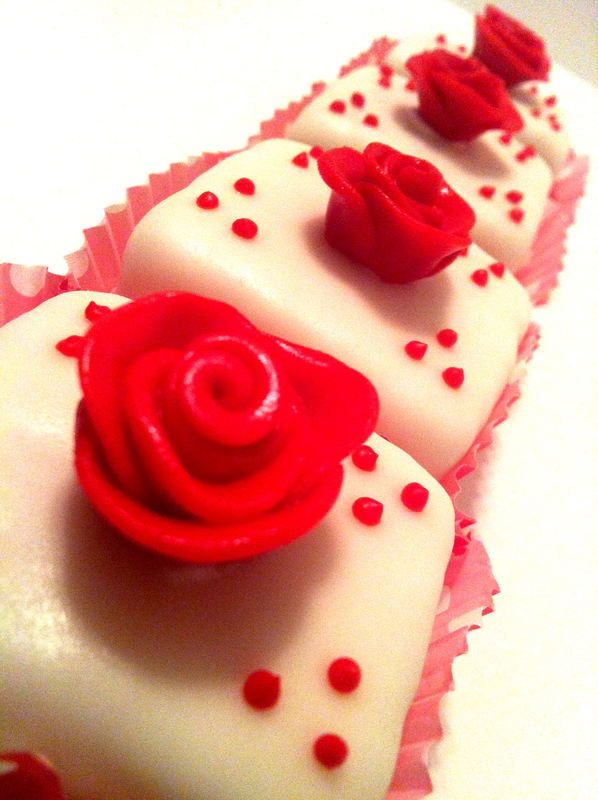 I just used a clover flower cutter (from a Wilton flower making kit) but you could also use a small heart cutter if you like for the white hearts. 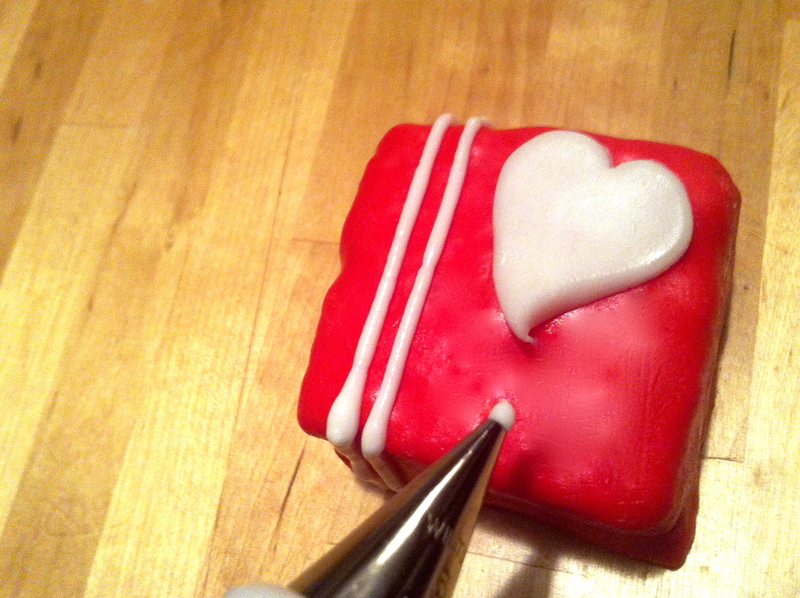 I put a dollop of royal icing onto the petit four to act as glue for the fondant heart. I’m using a #2 Wilton tip for all of the piping. You can use whatever size you are comfortable with! These were so much fun to create. The possibilities are endless! If you give this a try, comment here with a link for me to see how yours turned out! Okay, now THIS was a fun project. Seriously. And I can’t take all the credit either. 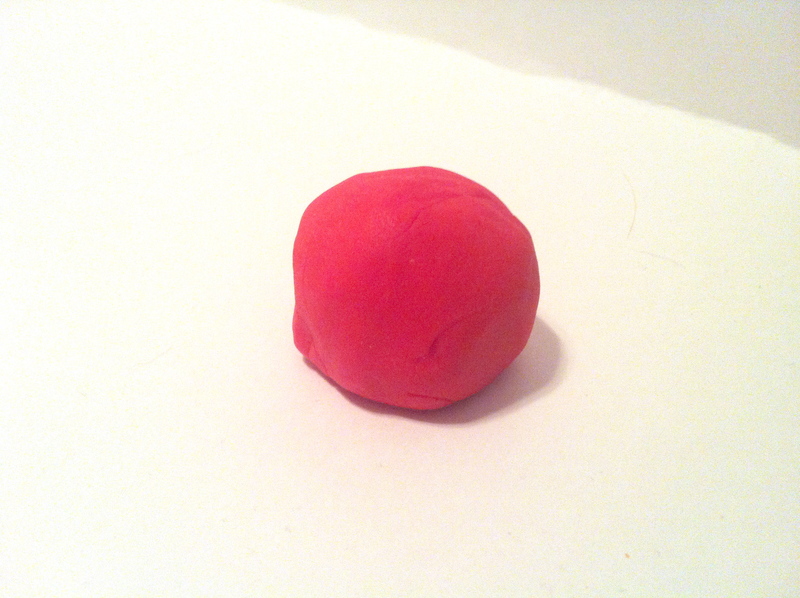 The idea came from an episode of Cake Boss that my brother saw and asked me to make one. How could I object to that? Anything Cake Boss can do I can do right? Riiiight…. Well it turns out this time, I actually could. How fun is THAT? Here’s another shot. This cake was actually really easy to make and I took pictures of it through the process to maybe someday attempt to do my first tutorial, but for now, you just get the finished product. Enjoy! Oh yeah, and it was so much fun that I made two, and Ryan’s work (my husband) got to enjoy a checkerboard cake of their own!